If you’ve seen either or both of the earlier chapters in the ‘Storm’ series, you’ll probably know why we greet this third instalment with equal parts surprise and trepidation. 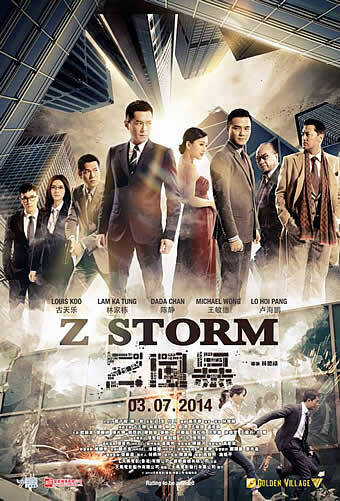 Indeed, 2014’s ‘Z Storm’ and its 2016 follow-up ‘S Storm’ were middling crime thrillers at best, plagued by dreadful scripting and clumsy execution that would have been inferior even by TVB standards. It’s hardly likely anyone would have asked for a third helping of the same tedium, let alone one penned yet again by writer Wong Ho-wah and director David Lam; and so with almost no expectations of ‘L Storm’, we’re relieved to say that it is by far the best of the franchise, which by objective standards means it is really just a perfectly average movie. 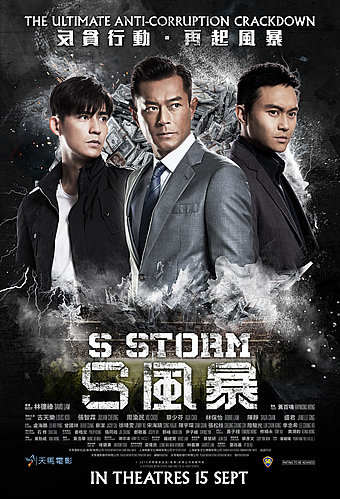 Both Louis Koo and Julian Cheung reprise their roles as ICAC Principal Investigator William Luk and Inspector Lau Po-keung respectively, although the latter has now been transferred from the Major Crimes Unit to the Joint Financial Intelligence Unit owing to his injury in the previous movie. 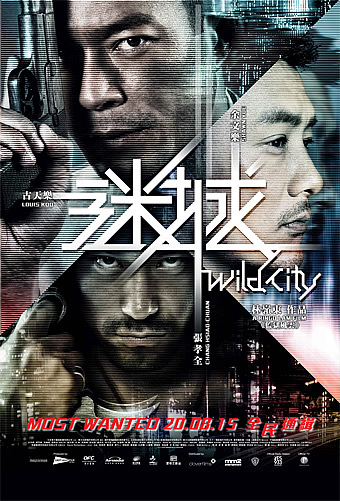 Luk and Lau find themselves after the same group of criminals – namely, a criminal syndicate run by Liu Kai Chi’s Tsui Yau-choi and Michael Tse’s Dik Wai-kit. 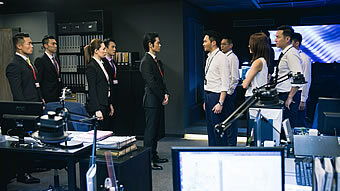 A joint undercover operation which sees Lau impersonate a Philippines drug dealer is blown at the last minute, and Tsui and Dik end up giving the authorities the slip. 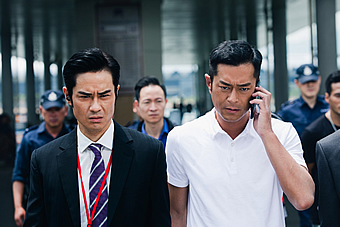 Unfortunately, they are done in by the ambitious and ruthless Dutch Chinese criminal Wong Hoi-wo (Patrick Tam), who together with his right-hand man Thomson (Adam Pak), decide to eliminate the competition and take over the money laundering business. To throw Luk off their tail, Thomson frames him by transferring HK$12 million into his personal account and arranging for Dik’s mistress Eva (Stephy Tang) to make the tipoff to his very own ICAC colleagues. Thus pits the ICAC against themselves: the no-nonsense by-the-book Ching Tak-ming (Kevin Cheng) of the ICAC’s L Team or Internal Disciplinary Investigation Team turns up the heat on Luk, refusing to believe the latter’s integrity unless backed by compelling evidence against the allegation. 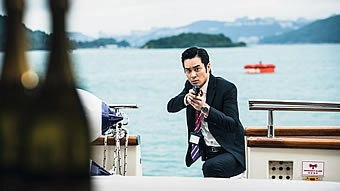 Not surprisingly, rather than leave Ching to clear his name, Luk enlists Lau’s help to track down the person who had reported him, and ends up teaming up with Eva as they attempt to evade Ching. Because any self-respecting movie with the ICAC has to have some conflict between them and the wider Police force, Lau will also be pitted against Ching when the former swoops in to detain Luk just before Ching is able to arrest him. Arguably, all this is distraction before the cops – whether JFIU or ICAC – figure out who they should really be after. To make the stakes even bigger, there is even a Mainland corruption angle thrown into the mix as Ding Haifeng’s Chinese Anti-Corruption Bureau director Hong Liang turns up late into the film to seek Lau’s collaboration in arresting a Ministerial cadre who is using Wong’s front to wash his own dirty money. 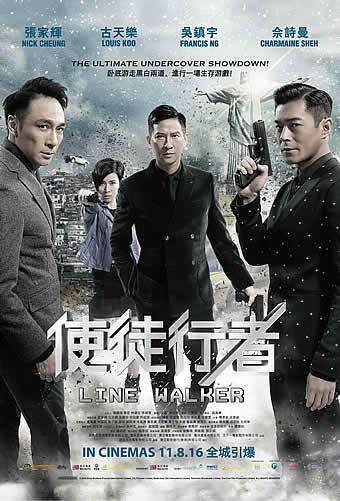 And as with any Mainland Chinese film dealing with such themes, this Hong Kong-China co-production dutifully trots the official line by ensuring that the law not only catches up with all the criminals here, but also sends an unequivocal message that crime does not pay. Oh yes, if it isn’t yet obvious, there are no shades of grey here, and the line is very clearly – no matter how simplistically – drawn between who the good guys and the bad guys are. That’s a lot of plot to cover in slightly more than an hour and a half, and like the previous two movies, this one unfolds like a procedural. That utter preoccupation with story means however that there is barely any time left for substantive character moments, not even for the sort of buddy dynamics that you’ll probably envisage in a movie like this between Luk and Lau. As with its predecessors too, the pace is frenetic to the point of being hectic and haphazard, flitting from scene to scene without much regard for proper scene construction to build any sort of dramatic tension. Except for the open gunfight at the end, the rest of the action comprising foot and vehicular chases is directed without much thought for inspiration and/or choreography, so don’t go in expecting much more than you would see in a TVB actioner. And yet, despite these shortcomings, ‘L Storm’ trumps the earlier two chapters by simply being a lot more coherent from start to finish. At least within the bounds of cinematic realism, we’re prepared to accept its logic of events and character motivations, which is much more than we can say for either ‘Z Storm’ or ‘S Storm’. There are also no major eye-rolling cringe-worthy moments, which again both the earlier movies were guilty of. We’d even say that we were actually reasonably engaged in the proceedings, in the same way you would reading a pulpy crime novel. It doesn’t hurt too that the film has assembled a whole roster of recognisable Hong Kong actors – besides Cheng, Tse, Tam and Liu in supporting roles, there are also glorified cameos by Louis Cheung, Law Lan, Lo Hoi Pang and Jessica Hsuan. 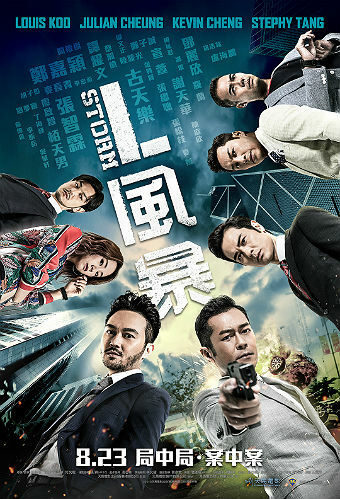 So as long as you keep your expectations in check, ‘L Storm’ is really no worse than your average Hong Kong crime thriller. 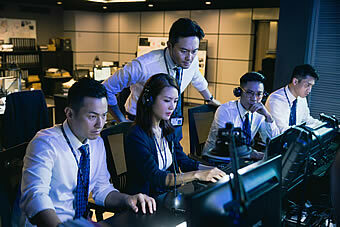 It is nowhere near the gold standard that Dante Lam had set for the genre before moving on to Mainland military blockbusters, and probably not quite as good too as the ‘Overheard’ trilogy which dealt with such white-collar criminal activity too. At least though you won’t want to rip your ticket apart after sitting through it, which is how we felt after watching the first two movies, and if that’s slight endorsement for yet another chapter of an unexpectedly resilient franchise, then let’s hope it continues to get better from here on end.